Food historians argue about its origins, but this is the one dish that exists across the country today, uniting us all. My fondest food memories from my early years in Kolkata centre around biryani. From the biryani treat at our school farewell organised by our juniors to the biryani cooked by caterers on “Doshomi (last day)”, the meat day at our building society Durga Pujo feast. From the biryani that I had with school friends at Aminia before going to watch Maine Pyaar Kiya at Elite to the biryani at Nizam’s after watching Titanic at New Empire when in college. To the biryani that I treated my younger brother to at Zeeshan when he had come to meet me at work at my first job to the biryani from Shiraz that I had at the last office party I attended before I moved on to Mumbai. It was as if the biryani was the only constant through all the changes in my life. After finding myself in a PG run by a vegetarian family in Mumbai, I wondered where to go to for my Sunday dose of “mangsho bhaat (meat and rice)”. My landlady directed me to “Lucky Biryani” when I asked her. I later realised that while the restaurant’s name is Lucky Restaurant, its biryani is so iconic that it had become an integral part of its identity. I was in for a shock though when my biryani arrived at Lucky the first time around. It was more expensive than what we paid in Kolkata but there were many more pieces of meat in it than in the basic Kolkata biryani. There were potatoes in it too, but in the form of tiny desultory bits, and not the soft and silky potatoes of the biryani(s) of Kolkata; those were cut into half and added in the biryani while cooking and soaked in the goodness of the masalas and the juices of the meat in the dish and to many, are the heart of a biryani. And, listen to this, there was “jhol (curry)” in the rice — a thick gravy-like masala paste that seemed so out of place in a biryani. Astounded by what I saw, I went on a fact-finding mission to some of the other legendary biryani places in Mumbai, such as Noorani, Jaffer Bhai, Persian Durbar and so on. That is when I realised two things. First, that I had moved far away from home and life would never be the same again. And secondly, that there are many forms of biryani and that you could never predict what you would get when you order one. Over the years, my interest in food and the history of food grew. I came across books such as Vir Sanghvi’s Rude Food and Lizzie Collingham’s Curry: A Tale of Cooks and Conquerors and got to learn about the various hypotheses that lay behind the origins of biryani. I set off on what I called “Biryani pilgrimages”. I went to Lucknow and ate at roadside places such as Wahid Biryani and Idris Biryani to get to know the biryani, or 'pulao' as purists call it there, believed to be the forefather of the biryani of Kolkata. I found it ironic and yet strangely empowering to see what was once a dish of nobility being actually relished in the grimiest and humblest of street corners by regular folks. 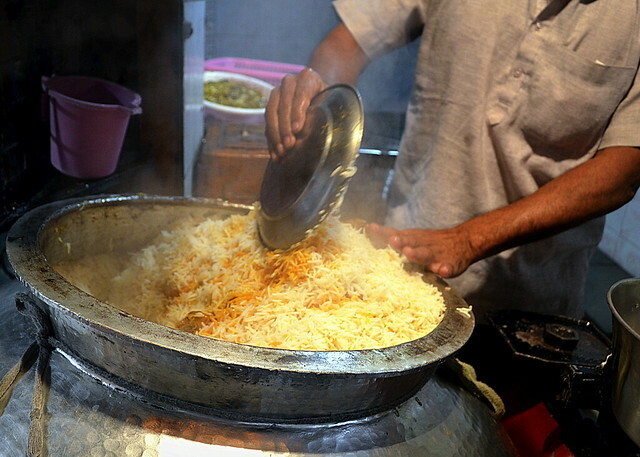 Lucknow Biryani: From royal to street food. Vive la révolution, as they would say in Paris. I then went to Hyderabad, where the country’s most biryani-obsessed people — after me — are said to be found. I went to places such as Café Bahar in the new city and had the biryani there and ticked off what is dubbed as touristy by locals; Paradise, too. 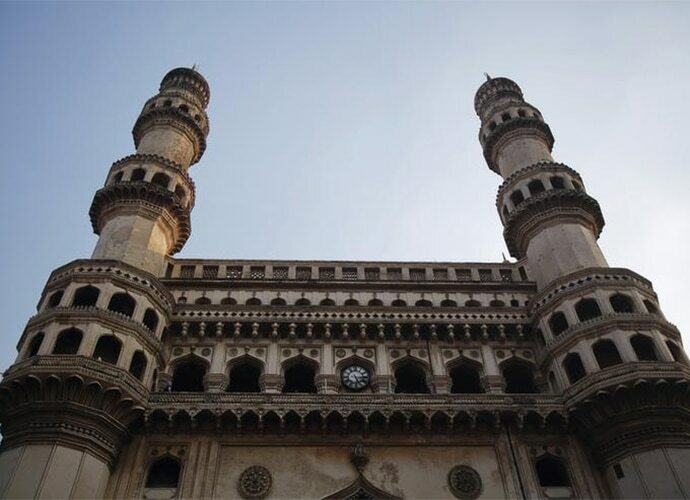 I made the long haul to the old city to the Shadabs and Shah Ghouses to enjoy the Hyderabadi biryani at its most fiery (chilli heat-packed) and passionate. That is when I realised that some biryani places in Mumbai did disservice to Hyderabad by calling the biryani here “Hyderabadi”. The two are different. In Hyderabad, you get clumps of dry masala dancing playfully among the grains of rice. In Mumbai, it is a more resounding moist masala that stamps its presence on the rice. In neighbouring Pune, you will find both the masala spiked SP Biryani biryani and then at the Blue Nile, the 'Irani biryani' which has fried mutton pieces and a fried tomato added to a subtly flavoured rice bejewelled with zereshk berries and a tub of butter served on the side. 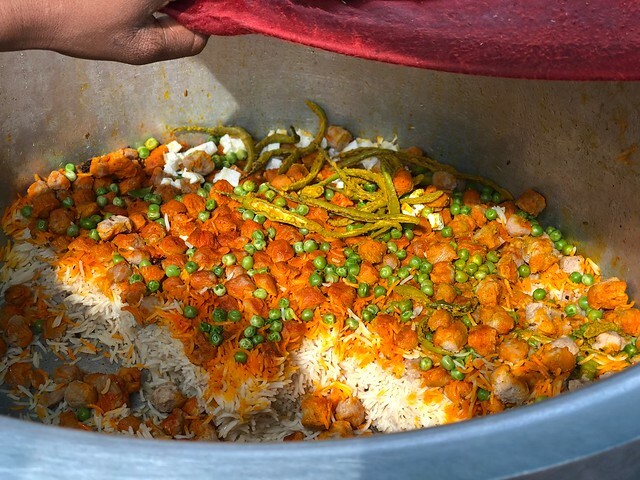 In Lucknow and Kolkata, on the other hand, the belief is that the spices which form the heart of the biryani should not be visible on the plate; a school of thought that the famous Pehelwan biryani — available in the alleys of old Delhi — seemed to subscribe to too when I tried his biryani one wintry night. Old Delhi does an eternal biryani. I came across many more interesting biryanis over the years. During a food trail to Amritsar, I saw the owner of a popular dhaba there add chicken curry to pulao and then flambé it on a flat saucepan on a high flame, with lots of Dalda instead of alcohol, of course, and then douse the contents with finely chopped fresh coriander leaves before serving it. “You can call this anything you want,” he told me when I asked him what he was making and added, “I prepared this for the gentleman in your group who wanted biryani.” You couldn’t have come across a more literal depiction of the term, “frying pan biryani”. There was more left to my biryani education. I then came across biryanis in the south of India, and outside of Hyderabad, that didn’t subscribe to any notions of the dish I had till then. Take the green-chilli-heat-infused Dindigul biryani with cubed pieces of mutton that I had at the Thallappakatti Restaurant, for example, or the garlic-flavoured Ambur biryani at Ambur Star Biryani, both in Chennai — a city that seemed more obsessed with biryani than idli or dosa; or, at least more than what anyone from the rest of India would think. It is another matter that Dindigul biryani seemed like child’s play when compared to the mutton biryani that I had at Vishakhapatnam’s Raju Garu Dhaba in terms of chilli heat levels, but then, Andhra Pradesh is the home of the devotees of chilli peppers. My encounter at the Deluxe Restaurant in Mumbai with one of the versions of the biryanis of Kerala made me call it a “mirage biryani” — when you looked at the handi served to you there, you might think that you have been given a Bengali “ghee bhaat (clarified butter and rice)” made with Gobindo Bhog rice. Dig a couple of layers deep under the pristine pure, short-grained white rice however, and you will find a bed of a thick masala and meat gravy on which the rice is perched! Is biryani all about meat? While I have seen biryani aficionados question the concept of a “vegetarian biryani”, the truth is that the red-hued rice, covered with a smorgasbord of chopped vegetables and lots of finely chopped coriander leaves, served as “veg biryani” in the vegetarian Mangalorean restaurants of Mumbai, is one of the most ordered dishes during lunch time in the city’s CBDs (central business districts). The “vegetarian biryani”, where a tough slab of paneer (cottage cheese) replaced what was often an equally tough slab of meat, the potato remaining constant, was not an unknown concept in the Mughlai restaurants of the Kolkata of my childhood, to be honest. The truth is that in India, we are experts in making dishes work for us rather than the other way around — we don’t let rules bind us in the kitchen. Indian food is all about adaptation and evolution after all. It is about letting your senses and imagination free. 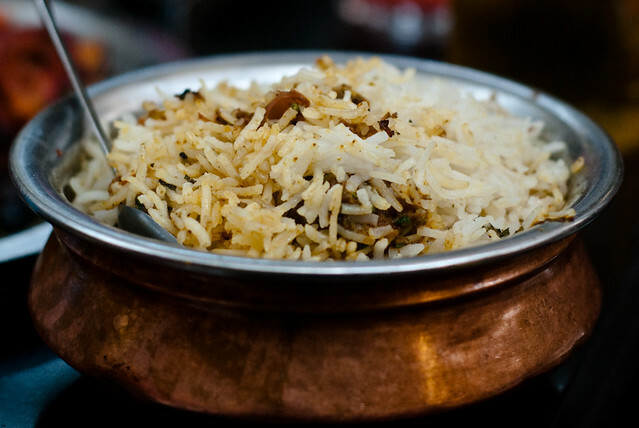 Food historians can argue about the origins of the biryani — whether it was the Mughal emperors who brought it to India or their soldiers, whether it was the traders from Iran who did so or whether it was a dish which existed in India from ancient times in the south — but there is no denying that if there is one dish that exists in every part of the country today, in some form of the other, it is this. That, to me, is the mark, is of a truly national dish — and a very federal one at that too! Kalyan Karmakar is obsessed with food and loves talking about it. He runs an award-winning food and travel blog www.finelychopped.net. His debut book, The Travelling Belly, published by Hachette Publishing, is a food travelogue set across India.